The alkaline diet is one in a string of evidence-based and non-evidence-based diet fads. The idea is to replace acid-forming foods with alkaline foods in order to balance your body’s pH levels. Certain food components that can cause acidity in the body include protein, phosphate and sulfur. Alkaline components, on the other hand, include calcium, potassium and magnesium. Acidic foods include meat, poultry, fish, eggs, dairy, alcohol and most grains, while alkaline foods include certain fruits, nuts, legumes and vegetables. There are also foods that are considered neutral, including natural fats, starches and natural sugars. The alkaline diet is said to improve health and fight serious diseases like cancer. Although the diet is actually quite healthy in essence, there is no evolutionary evidence or human physiological evidence to support some of the many health claims. The reason the diet is a healthy one is because it encourages the consumption of natural unprocessed plant-based foods and lots of fruits and vegetables. But acids, such as amino acids and fatty acids, are actually an extremely important part of any diet in people who don’t have an intolerance to them, and should not be cut out. 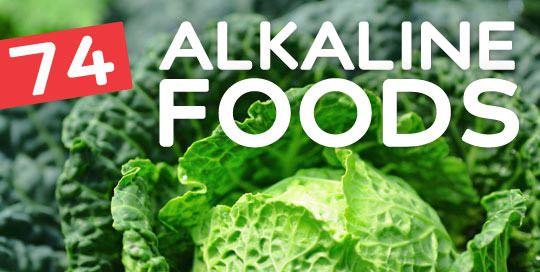 This is an important foundation of the alkaline diet, and the ideas behind it. The pH value is a measure of how acidic or alkaline something is, and ranges from 0 to 14. Anything ranging from 0 to 7 is considered acidic, 7 is neutral, and 7 to 14 is alkaline, or basic. However, the pH value in people’s bodies varies greatly throughout. Some parts are alkaline and other parts are acidic. The stomach, for example, has hydrochloric acid in it, making it highly acidic, but this is an important digestive necessity in order to break down food. Blood, however, is always slightly alkaline, and it is extremely serious and sometimes fatal if it becomes acidic. Food cannot change your blood pH though, so what you eat has nothing to do with blood becoming acidic. It is only ever caused by a serious disease affecting its level. So we set out on a quest to study and revolutionize the alkaline water industry to create a clean, great-tasting high pH water infused with natural ionic alkaline minerals. We believe that it’s the perfect water to complement a balanced lifestyle. Inspired by Nature, Refined by QURE. This is where our journey begins. QURE Water can be reached at (888) 800-6941 or your can contact us electronically. It’s important to see your physician as this may be a medical condition that requires care.